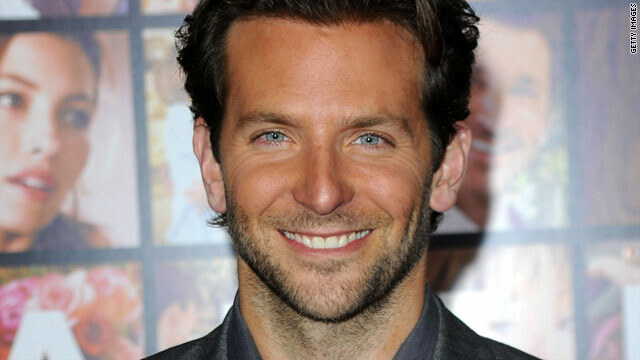 Ed Helms, Zach Galifianakis and Bradley Cooper were all boosted by "The Hangover." 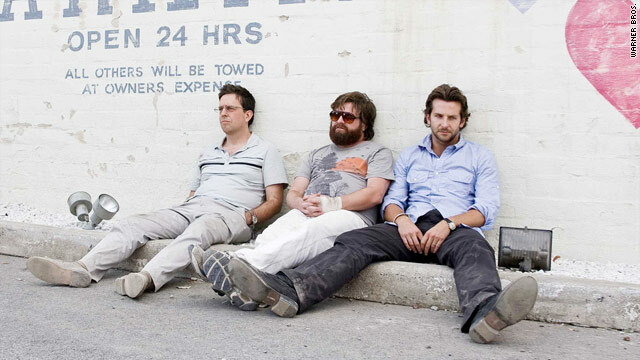 (CNN) -- Hollywood would love to bottle "The Hangover." A year ago, the low-budget comedy about three groomsmen trying to recall a wild night in Las Vegas and find their missing pal (the groom) -- made with a mostly little-known cast and a dependable director (Todd Phillips, who also did "Old School") -- became 2009's sleeper hit, making $277 million domestically and propelling Phillips and its stars onto the A-list. It was the kind of film where everything worked, says analyst Paul Dergarabedian, president of the box-office division of Hollywood.com. "The movie was a revelation. So many attempts to do these types of movies fall flat." "I attribute that to Phillips, who understands the male-bonding ritual. It's kind of a Farrelly brothers, [Judd] Apatow [tone] -- raunchy hybrid R-rated material mixed with genuine emotion and pathos. And it pays off for the audience. Audiences can smell a fake a mile away," Dergarabedian says. "The Hangover" was popular with men and women, the core under-25 moviegoing market and less movie-mad adults, he says. Even his 85-year-old mother liked the movie. "That tells me something," he says. But if Hollywood is hoping for another breakout smash like "Hangover," it's not a formula easily repeated, says David A. Gross, a former 20th Century Fox marketing executive who now runs MovieReviewIntelligence.com. "It was really quite remarkable in a lot of ways," he says. "It is truly unique to have a character-driven comedy with heart to break out with those kinds of numbers. You just don't see it. Those kinds of movies [usually] make $80 to $100 million." There are exceptions to the rule, of course. In 2005, "Wedding Crashers" -- which had the benefit of a better-known cast -- topped $200 million at the box office. "American Pie" and its first sequel both passed $100 million domestically. And Apatow-written or -produced comedies, such as "Superbad" and "Knocked Up," have performed well. "Let's say it wasn't all on the page. It doesn't matter -- there was something magic, some kind of chemistry between script and director," he says. "The tiger song, the Taser, the Mike Tyson casting -- that [latter] could have gone either way." Film fan Craig Forgrave, who runs MarketBOB.com -- a site devoted to comparing box office with the stock market -- says that it was the unexpected that carried audience emotions. "Movies and audiences find each other, and that's a really good signal for something going on there that you can't predict," he says. "I went opening weekend, and the buzz in the theater was [like that]. You don't get to experience that all the time. It reminded me of 'There's Something About Mary' -- it was so funny and people were having a great time. It was a real positive experience." The chemistry was also there off screen, Cooper told CNN before the movie's release. "We all feel like we did a war movie together, because our characters really get the crap kicked out of ourselves," he says, adding that the group strongly bonded during their six weeks of filming in Las Vegas. So, in this summer of sequels and sci-fi -- one that's so far failed to ignite much buzz -- could anything become the next "Hangover"? There are surprisingly few candidates. Most of the comedies have notable stars attached, including "Dinner for Schmucks" (with Steve Carell and Paul Rudd) and "Middle Men" (with Luke Wilson and Giovanni Ribisi). But Gross is confident that there's an original story out there that will surprise moviegoers the way "Hangover" did, and Dergarabedian even has a candidate: director Todd Phillips' new movie, "Due Date," which stars loopy "Hangover" comedian Zach Galifianakis opposite Robert Downey Jr. in a road movie about a jittery father taking a road trip with an actor. "When you've got Zach Galifianakis, you don't need CGI, you don't need 3-D," he says. If that doesn't work? There's always "Hangover 2," which is in pre-production and slated for Memorial Day weekend, 2011. "It's difficult to recapture the magic, but if anybody can do it, Todd Phillips can," says Dergarabedian. "He's being careful about bringing back elements, in front and behind the camera. You don't mess with the magic formula. "These characters beg for more expansion," he says. "I have no idea where they're going. But I'm going to be first in line."